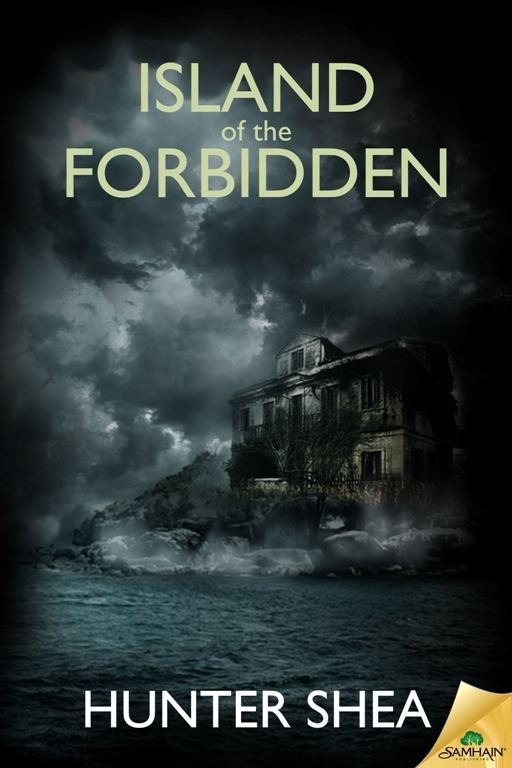 Island of the Forbidden by Hunter Shea continues the story of Jessica Bockman, the ghost-hunting heroine who has appeared in Forest of Shadows, The Graveyard Speaks and Sinister Entity, all published by Samhain Horror. Readers of Hunter Shea will be familiar with and know Jessica Backman and her abilities from two previous books. I haven’t read either of them yet and think this book can stand on its own. After reading Island of the Forbidden I want to go back and read the other two (Forest of Shadows and Sinister Entity). From the opening the book grabs your attention and sets up a completely eerie scene. A haunted mansion and a creepy island setting with spirits of the dead everywhere. Island of the Forbidden is about Jessica and her friend Eddie who have the gift of seeing and communicating with spirits/ghosts, or EB’s (Energy Beings) as they call them. Jessica’s gift is greater than that of her father who wished he could “talk” with the spirits. Eddie’s gift is great, but more of a curse to him at this point, he can’t stop from seeing and hearing the dead. Jessica and Eddie are asked to help the Harper family with their home which is full of the ghosts that inhabit the island. Little do they know the real reason the Harper’s have asked them for their help. Soon enough they learn what the Harper’s are up to and this is where things get hairy. The story keeps you guessing with some excellent plot twists and interesting characters. The suspense and forward moving story line had me burning through the first half of the book in one sitting. Daphne Harper comes to have doubts as to whether they are doing the right thing while her husband Tobe is all in, even her brother Paul leaves her befuddled. I found Daphne’s brother Paul an interesting character, he comes off as a hard nose but soon you find he isn’t sure if his sister’s plan is all it’s cracked up to be. There are plenty of great classic ghost hunting elements that work very well leaving you with a good book to read in a darkened room. I thought Tobe was a bit cold and didn’t understand some of his actions/reactions throughout the book. His character left me a bit confused and maybe a bit undeveloped. Paul’s friends Mitch and Rusty are quite and interesting pair and bring a great dimension to the story. Hunter Shea pulls in some interesting characters that I have to leave up to you to read about, suffice it to say I was entertained. As the book progresses the elements of horror are ramped up and the complete plot is nicely filled in, I had no idea the depths to which this story would go and how frightening the characters would be. Everything is not as is seems from the beginning and the story was better and better as I reached the conclusion. When all is revealed there are some pretty disturbing topics the story is built around and heartbreaking horror that makes Island of the Forbidden a deep a great read.